Amnesty International has stripped Aung San Suu Kyi of a prestigious human rights award following what it described as a “shameful betrayal” of the values she once stood for. 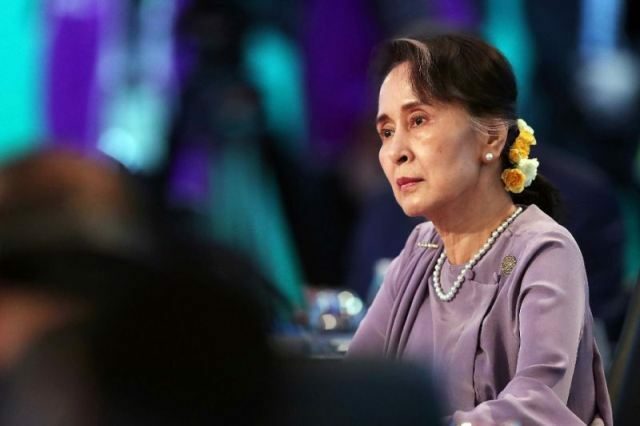 This is the latest in a series of accolades to be withdrawn from Aung San Suu Kyi, including the US Holocaust Museum’s Elie Weisel award and Freedom of the City awards, which were revoked by Edinburgh, Oxford, Glasgow and Newcastle, reported The Guardian. Yanghee Lee, the UN special investigator on human rights in Myanmar, said she believed Aung San Suu Kyi was in “total denial” about accusations of violence. “Without acknowledgement of the horrific crimes against the community, it is hard to see how the government can take steps to protect them from future atrocities,” said Naidoo. Amnesty International added that Aung San Suu Kyi’s administration had stirred up hatred against Rohingya by labelling them “terrorists”, obstructed international investigations into abuses, and failed to repeal repressive laws used to silence critics.